4 Carmarthen Street, Llandeilo, Carmarthenshire SA19 6AE. 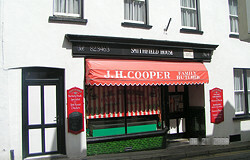 For many years J. H. Coopers has provided the local area with the very best Beef, Lamb, Poultry and Game. Proud of the traditional qualities they bring to the profession, providing the finest locally reared or sourced products combined with friendly service and excellent value for money. 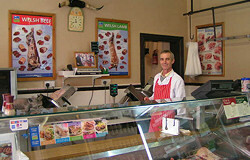 The shop also sells its own home-cured bacon, Barbery ducks, homemade faggots and Game both furred and feathered.